On Sunday afternoon, my family spent a couple of hours volunteering for the Travis County Brown Santa program, which provides Christmas gifts for needy families. 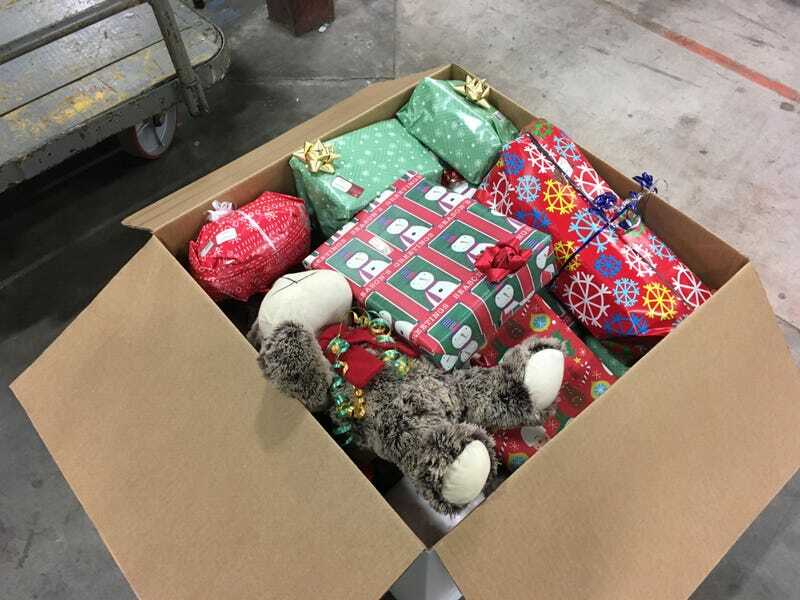 Unlike other similar programs, the TCBS program makes sure that all the gifts are individually wrapped, and that takes volunteers to do the work. Go volunteer somewhere, Oppo!